When it comes to water saves, things generally go one of two ways. Sometimes the rescuer grabs up the victim without incident and drags them back to shore. Other times, the rescuers need rescuing. These are the really tough ones. 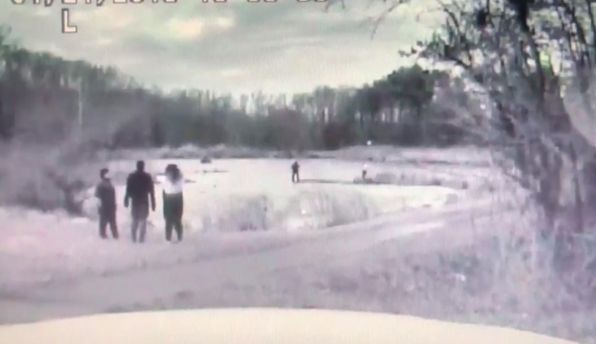 In Maryland, a rookie police officer trying to save two people who had falling through some ice and were trapped in a freezing pond. “They were frantic, they were screaming, they were exhausted,” Officer Timothy Tully told FOX5 DC. 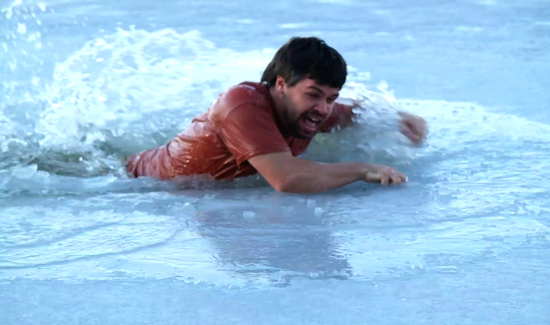 Tully was the rookie that fell in. Above: It’s kind of hard to make out but the guy in the water is in the foreground. But the kid kept his head and managed to yank one of the victims out of the water. Shortly thereafter, other first responders arrived and got the other victim out.